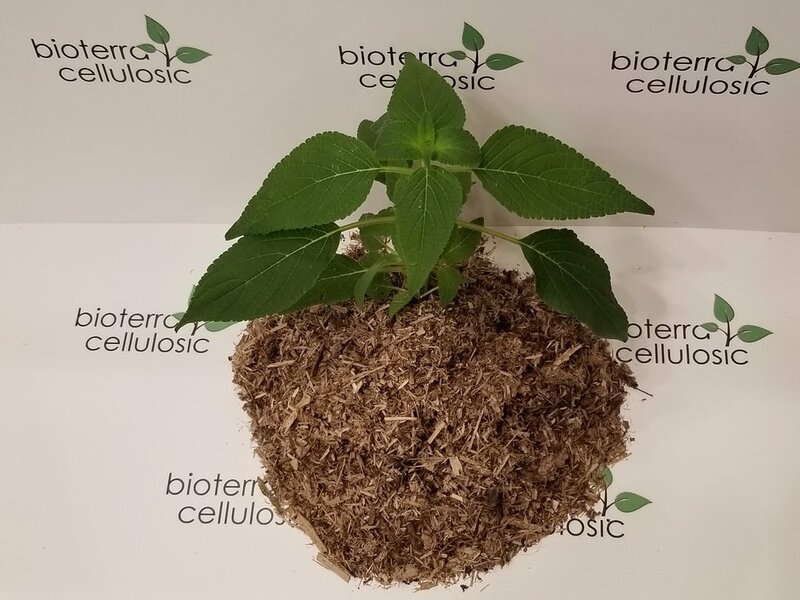 BioTerra Cellulosics “BSE Organic Soil Amendment ” is the most natural, perfectly balanced and functionally diverse organic cellulosic fiber soil amendment to ever be produced. BSE is a high performance soil amendment with the highest water retention capability and lowest sodium content of any soil amendment. BSE soil amendment retains 10 times its weight in water, possess a perfectly balanced pH of 6.9 to 7.4 and is functionally sodium free with only trace sodium residuals. The success of plant, crop and turf growth is directly related to the quality of the soil and how it has been prepared for planting and nutrient maintenance throughout the entire growth cycle. One of the most basic and primary means to greatly improve soil quality for any type of plant growth is the application of BSE organic soil amendment to improve the growing properties of the soil. BSE organic turf and soil amendment enriches the soil and provide a better growing environment for plant roots, which strengthen turf and ensures proper nutrient uptake. BSE can mixed with soil or other soilless media as a soil amendment to reduce salt lock-up and improve root absorption of nutrients, aeration and moisture retention in the root zone. BSE represents an entirely new generation in high performance soil amendment for hydroponics, greenhouse crops, specialty crops, fruits, vegetables and flowering plants and any type of plants, crops and turf. BSE is by far the most environmentally responsible grow media to exist. Containing no peat moss or coco coir BSE possesses the lowest carbon footprint of any soil amendment to produce and utilize. With perfect pH, functionally zero sodium, no buffering, no treating to reduce salts or potassium, BSE is a 100% organic, inert, natural media designed for superior aeration, and root zone nutrient and water retention allowing for faster growth and higher yields. BSE is ready to use with no washing, no buffering, no chemical treatments to reduce salts of potassium. It is perfect for large commercial growers and small boutique growers as well. BSE is the last soil amendment you will ever need to use. BSE can be mixed with soils of all types to retain more soil moisture, balance pH, increase aeration to the root zone. Perfect for all net pots, growing pots, plant containers and raised beds and field use of any size both indoor and outdoor. BSE’s all natural organic properties allow for excellent root zone breathability and moisture retention as it naturally resists compaction. With no added nutrients, fertilizers or additives, BSE allows you TOTAL nutrient control every day at every stage of growth. As a totally neutral, inert soil amendment, BSE allows every grower to utilize their own blend of nutrient without trying to balance the soil amendment to the nutrient mix. 100% Produced in the USA, BSE is a proprietary organic soil amendment that is 100% natural, 100% sustainable and 100% biodegradable. BSE is the most environmentally responsible soil amendment to exist. Contains NO PEAT MOSS or COCO COIR.